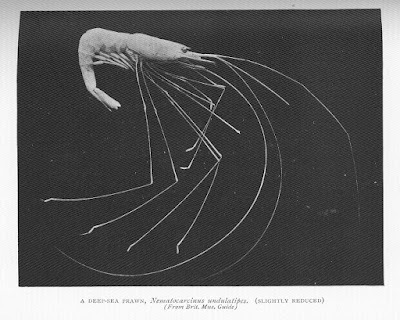 Deep-sea prawn Nematocarcinus undulatipes, from Calman (1911). The Nematocarcinoidea are a group of shrimps possessing strap-like epipods on at least the first three pairs of pereiopods, and a blunt molar process. [B04] Boyko, C. B. 2004. The Bopyridae (Crustacea, Isopoda) parasites of the Stylodactylidae (Crustacea, Decapoda, Caridea). Zoosystema 26 (2): 199–210. [C85] Chace, F. A., Jr. 1985. The caridean shrimps (Crustacea: Decapoda) of the Albatross Philippine expedition, 1907–1910, part 3: Families Thalassocarididae and Pandalidae. 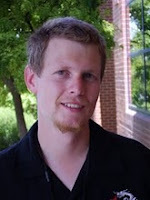 Smithsonian Contributions to Zoology 411: 1–143.